Since the 1980s, conventional health professionals have denied a link between diet and acne, but that thinking is on its way out, according to the American Osteopathic College of Dermatology. Diet doesn't cause acne, but it can be a trigger or it can be used to help treat it. Drinking lemon water is one dietary approach that may be beneficial. With no specific studies to back this up, you'll have to try it for yourself to see if it makes a difference. Consult your dermatologist for more information. Inflammation is a major contributing factor to acne. Health professionals disagree on whether inflammation in acne begins after pores become clogged with oil and dead skin cells, which is the position of the American Academy of Dermatology. Nicholas Perricone, a dermatologist and author of "The Acne Prescription," maintains that it's inflammation that causes cells within the follicles to become sticky and clogged. Either way, inflammation is a factor and your diet can help to reduce it. Lemon juice is the main ingredient in lemon water and it is packed with vitamin C, which is also known as L-ascorbic acid. In ¾ cup of lemon juice there are 71 mg of vitamin C, according to the USDA National Nutrient Database. This nutrient is a potent antioxidant, which helps to protect cells and tissue, including those in your skin, from free radical damage. When free radicals, which are unstable oxygen molecules, damage cells and tissue, they become inflamed. 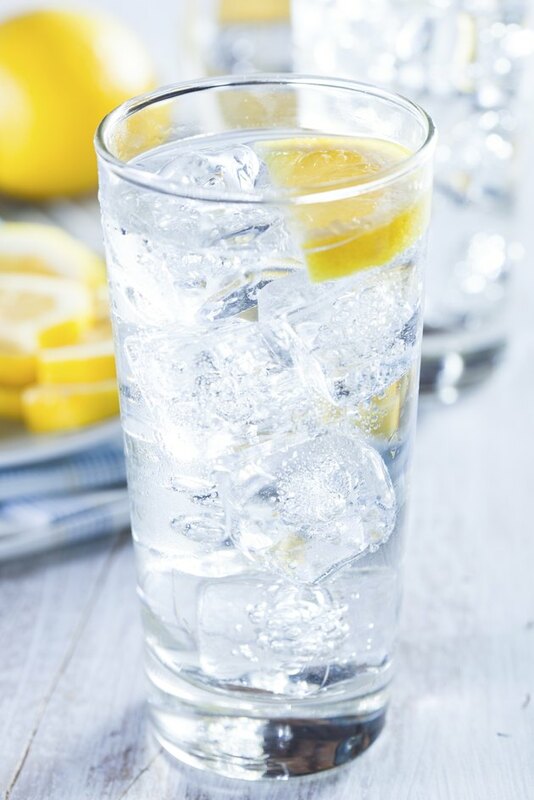 As such, antioxidant-rich foods and beverages, such as lemon water, are important parts of an anti-inflammatory diet to treat acne, according to Perricone. Lemon water is quite acidic and can cause side effects such as mild heartburn, so you shouldn't drink it in excess. Joy McCarthy, a registered holistic nutritionist, recommends drinking half a glass of water with the juice from ½ a lemon. The mixture should have a cloudy appearance and you should drink it first thing each morning. As much as possible, drink lemon water through a straw to avoid contact with your teeth. Too much acid can erode the enamel on your teeth. Even if there was scientific proof specifically showing that lemon water improves acne, you shouldn't rely on it solely as a treatment. Because various factors contribute to acne — besides inflammation — you should take a multi-pronged approach to treating it. For instance, some topical remedies, such as those with benzoyl peroxide, will help you tackle the build-up of skin cells that clogs pores. Consult your dermatologist for more advice on treating acne. Joyous Health: Lemon and Water – How Much and Why? Can You Drink Vinegar for Acne?